Coming off the win on Saturday, the Hustlin’ Owls of Oregon Tech look for their second win in just as many games. Tonight's opponent is the University of Maine at Fort Kent Bengals. The Bengals are 1-1 on their young season. 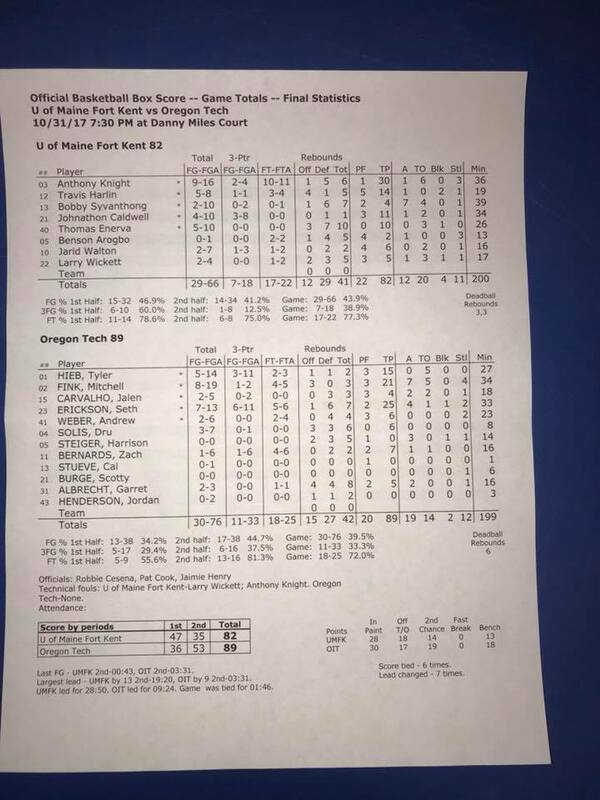 Klamath Falls News has partnered with Oregon Tech this regular season to bring you the first half of each men's home game LIVE right here on Facebook. We will walk the sidelines watching the Owls take on opponents at home on Danny Miles Court. Second half updates will be posted in the comments of the original LIVE video. The next home game will be on November 8th at 7:30 PM vs New Hope Christian College.